Let's first note that NO HUMAN PATHOGENS have yet been associated in the U.S. with Longhorned Ticks. The same can not be said for animals. The Longhorned Tick can transmit an animal disease called Theileriosis to cattle. Theileriosis can cause a great amount of blood loss and sometimes death is calves. More often however, farmers need to be concerned with decreased milk production in cows and lesser quantity and quality of wool for sheep. The Ticks can spread very quickly through animal populations on farms as well as among wild animals like coyotes, bears, and deer. Dairy farms in Massachusetts occupy 113,600 acres of open space in Massachusetts and with more farms adopting 100% green and sustainable practices it may be hard for farmers to control the spread of this invasive Tick species. 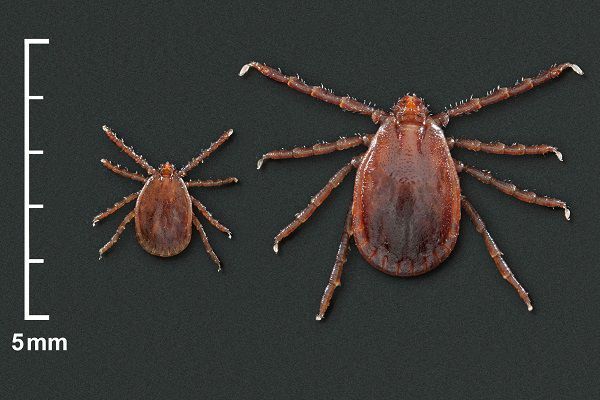 Although not currently a major threat to Humans and household pets, researchers will be continuing to looks for the emergence of the Longhorned Tick in Massachusetts as well as test for possible human pathogens. Western Massachusetts, where most of the Dairy Farms and pastured in the state are located, will likely face the greatest threat of encountering and dealing with the effects of the Longhorned Tick in the near future. Remember to always use tick prevention practices whenever participating in outdoor activities. Make Tick-Checks a regular practice when returning home and regularly check cats and dogs for ticks when coming inside. Ticks can not survive the high heat of a household clothes-dryer, so feel free to throw any clothes in there and run it for 15-minutes to destroy any potential hitch-hikers.